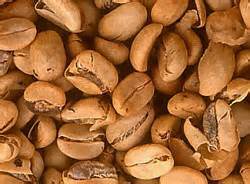 Coffea is a wonderful remedy for nervous sensitivity, NERVOUS EXCITABILITY, SENSITIVITY TO ALL STIMULI, including PAIN. Impressionable. AILMENTS FROM EXCESSIVE JOY, sudden pleasant surprises. Highly sensitive persons. Excitable, cheerful, happy. Sentimental. Less will power to make a decision. Insecurity inside. Moments of great euphoria, ecstasy. Laughing alternating with crying. SLEEPLESSNESS at night, sleepy all day (Staph). FROM MENTAL EXCITEMENT, after excessive joy. Waking with many thoughts/ideas. Waking from slight noise. Aggravated by aggravated noise, touch, odors, stimulants, anger, excitement, excessive joy, pleasant surprises. Acute hearing, overhears distant sounds. Noise hurts. Hardness of hearing with noise of buzzing. Acute, sensitive smell. Acute taste. In women: Dysmenorrhea. Severe after pains and labor pains with fear of death. Hypersensitive to touch, can hardly bear a napkin during menses. Voluptuous itching, but to sensitive to rub or scratch. Menses too early, long-lasting, large clots of black blood.